Next time you log in to edit your website, you many notice a bit of a different look-but don't worry, the changes are great! 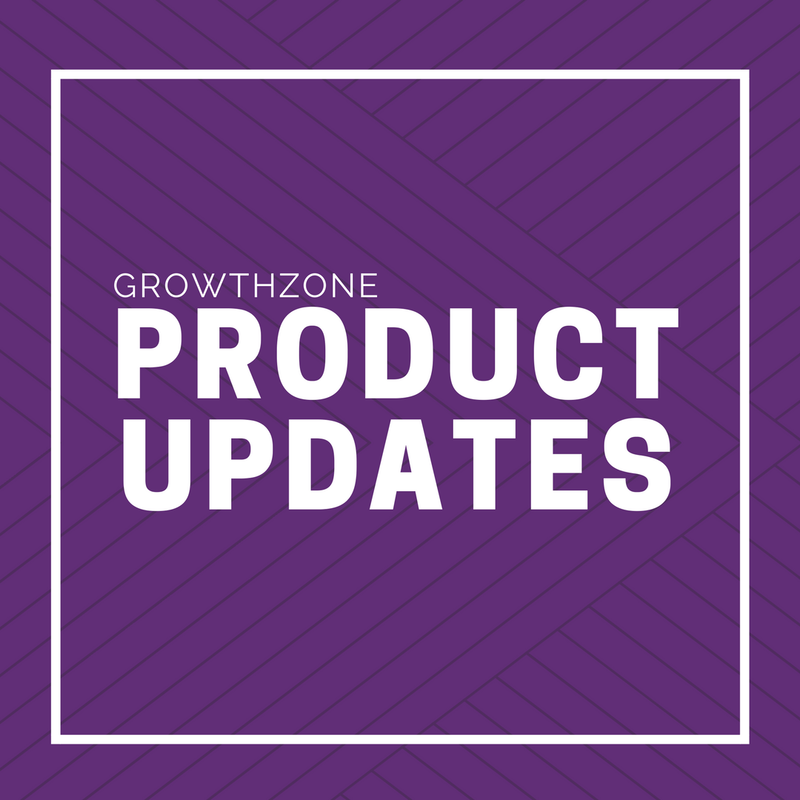 Most of the updates made were intended to ease pain points and workflow hang-ups. 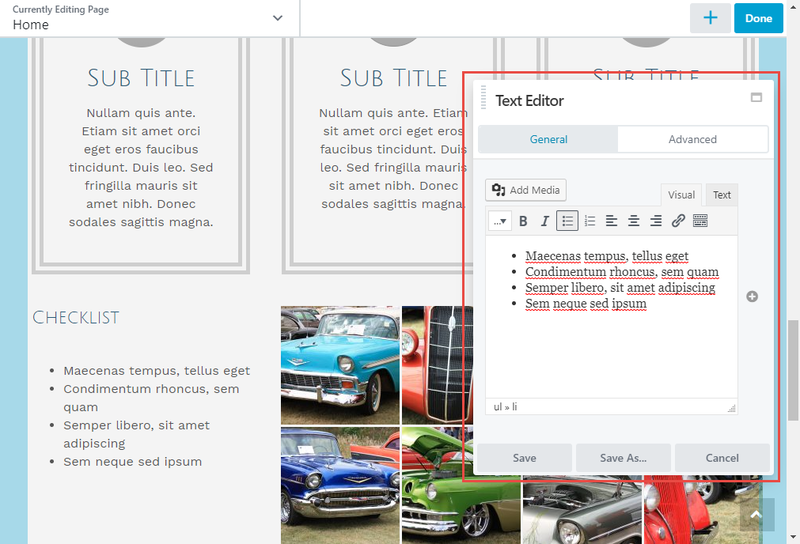 Title Bar – Added a title area to the toolbar that displays what you're editing (Page, Template, Etc.). Tools Menu – All of the various settings panels and tools are now in a new centralized Tools menu. Located under the new Title Bar. 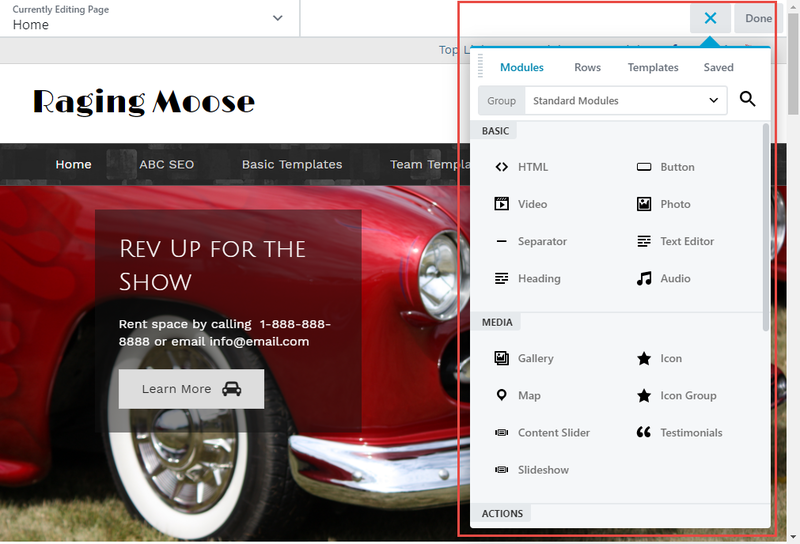 Flexible Settings Panels – The settings panels is WAY more flexible, customizable, resizable and even dockable! Settings panels can be moved and will snap to the edge, if you prefer. When dragging a settings box around, you'll see the edges turn blue, indicating snapping to the edge. However you decide to organize your preferences, they'll will stick with you, even when editing other pages. Refined Content Panel – The content panel has been reorganized, has added icons, and has overall condensed the information to be more user friendly. For more information on the items mentioned above, or any other new items, visit this Beaver Builder article. 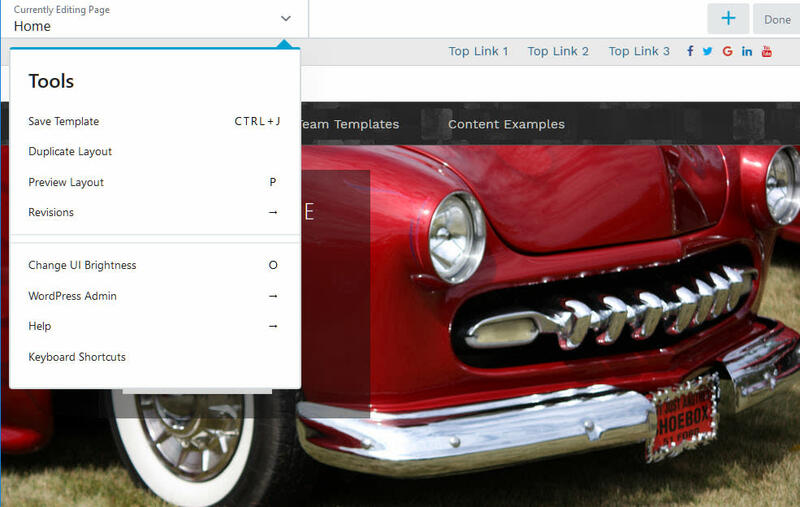 o Toggle between dark and light UI modes in the Page Builder editing bar. (Enter key) While inside a settings panel, saves any changes and dismisses the panel. Publish changes without leaving Page Builder.